The Farrow Stirrup Buckle is made from Stainless Steel to eliminate rusting or corroding. It is not as bulky as a traditional Blevins buckle and does not have any loose parts that are easy to lose. Buy our Farrow Stirrup Buckle. 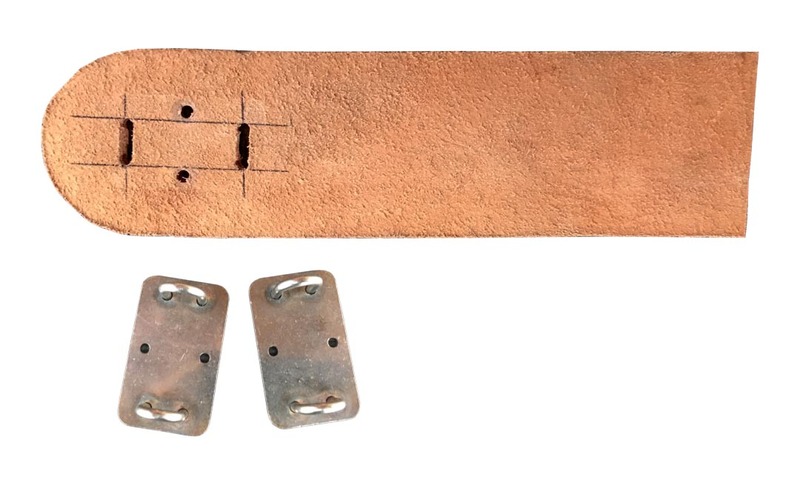 Measure 1 1/8” from end of fender leg ~ Center 3/4” Bag punch, make slot ~ make second slot 1 7/8” center to center from first slot ~ insert the buckle in the slots and mark the holes for the rivets. Punch holes, insert rivets, cut to right length, and peen. No Burr is needed. 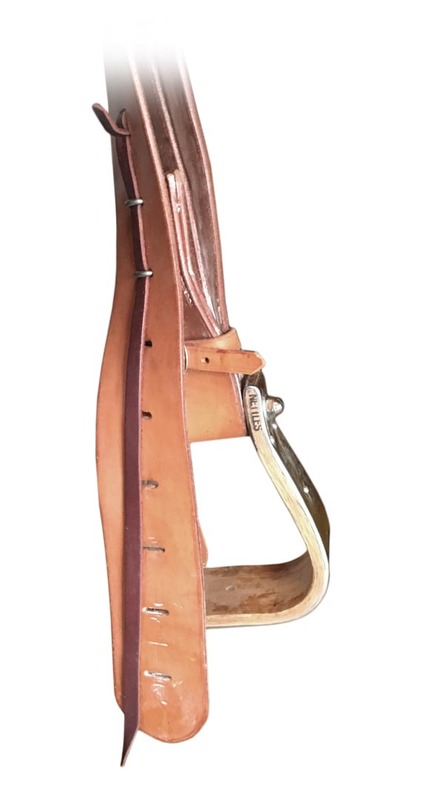 Glue and sew on back piece of full length stirrup leather. Punch 1/2” bag punch slot behind stitch line. Cut 1/2” strap by 12” long and fasten with bleed knot.